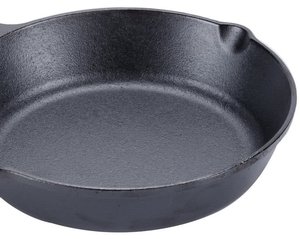 Create a unique presentation for appetizers, desserts, and entrees with this Lodge H5MS 5" round pre-seasoned heat-treated cast iron individual serving skillet. Creating cast iron cookware since 1896, Lodge continues to impress with an unparalleled dedication to quality and technology. Perfect for serving casseroles, dips, and main courses at restaurants and bistros, this durable cast iron easily goes from oven-to-table for fast, efficient service. Plus, the cast iron construction is unparalleled for heat retention and even heating. Use it to saute, fry, stir-fry, sear, or bake. This item is compatible for use in induction cooking. "Great that this comes pre-seasoned so it's ready to use right away! 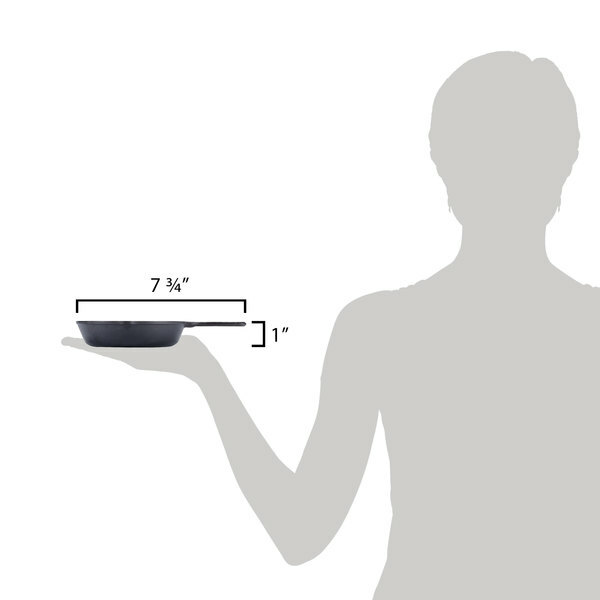 Perfect size for serving smaller portions and still heavy enough to be a quality pan." 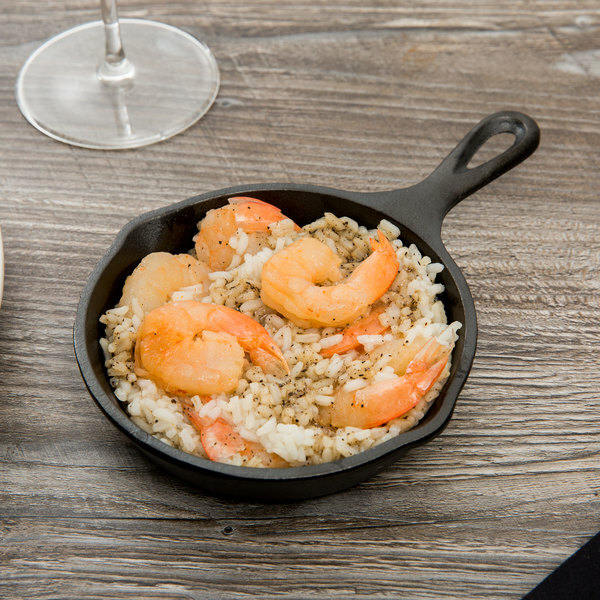 This skillet comes pre-seasoned with soy oil, ensuring it offers a natural, easy-release finish that only improves with use. New cookware could experience some minor sticking, if this occurs you can use a light amount of oil to alleviate the food adhesion. Overall, you'll be cooking healthier by limiting the overall amount of added oils. You can easily serve your dish right from the pan thanks to the two pour lips on either side of this skillet. This skillet is right at home on induction, ceramic, electric, and gas cooktops, in your oven, on the grill, or even over the campfire. 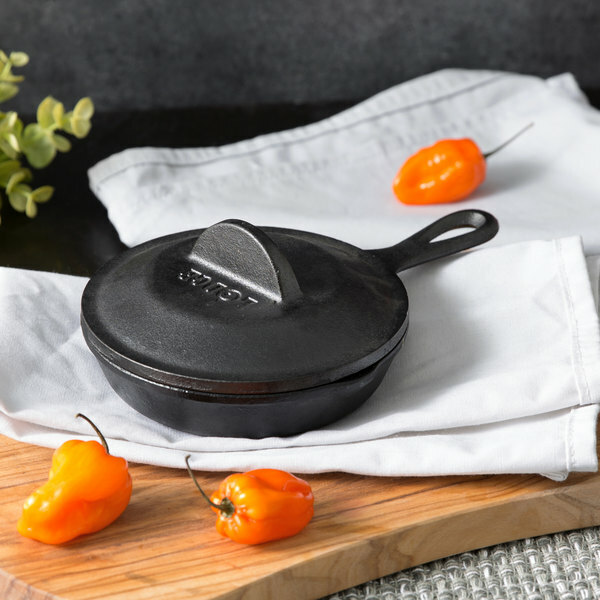 As one of Lodge's heat-enhanced cast iron products, this skillet went through a patented heat-treating process which inhibits rust for worry-free maintenance. This is not a coating, but a process that changes the molecular make-up of the iron's surface to prevent oxidation. After use and once cooled, hand-wash your skillet and dry it immediately. Following every wash, be sure to rub a light coat of vegetable oil on the skillet to maintain optimum stick-free performance. You can use mild soapy water during washing, as long as you dry and oil the skillet immediately afterwards. My new cast iron feels rough in some areas. Is this normal? How is Lodge's pre-seasoned cookware seasoned? 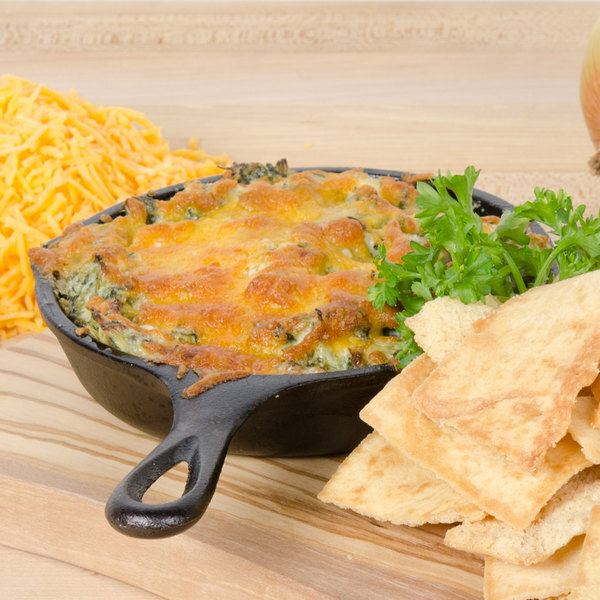 All of Lodge's pre-seasoned cookware is seasoned with soy-based vegetable oil. No peanut oil or animal fat is used. This heat treated cast iron piece from Lodge has been shown to survive cycles in a 2 minute commercial dishwasher with no signs of rust. 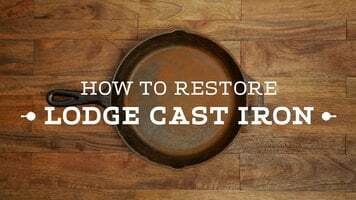 Watch this video and see how easy it is to restore your Lodge cast iron! Simply scrub, wash, dry, oil, bake, and cool. Because cast iron cookware is forever! Need a cast iron pan that is worry and hassle free? 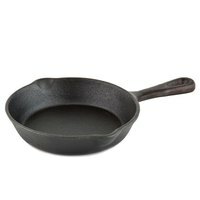 Try one of Lodge's cast iron pans! Because they are rust-resistant, they can be washed by hand or in a dishwasher. For best results, season the pan with your favorite oil once it's been cleaned. Need to restore your Lodge cast iron product? With these 5 easy steps, your cast iron will be looking good as new! Simply scrub, wash, dry, oil, and bake. First, scrub the cast iron until all residue is off. Then wash with water, using soap only if desired. Then completely dry it. Next, use a small amount of cooking oil to coat all surfaces. Finally, place a piece of aluminum foil on the bottom rack of your oven to catch any drippings. Place your product on the first rack. Close the oven and preheat the oven to 350 degrees Fahrenheit, and let it bake for one hour. Let it cool in the oven. Lodge cast iron – iron is forever. Scrub, wash, dry, oil, bake. Wash. Dry. Season. 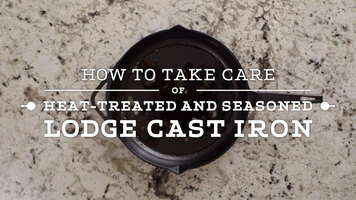 How to take care of a heat-treated and seasoned Lodge cast iron. Start with a dirty pan. Wash or dishwasher. Use soap if you want. Use scraper if necessary. Or the dishwasher, for sticky situations. 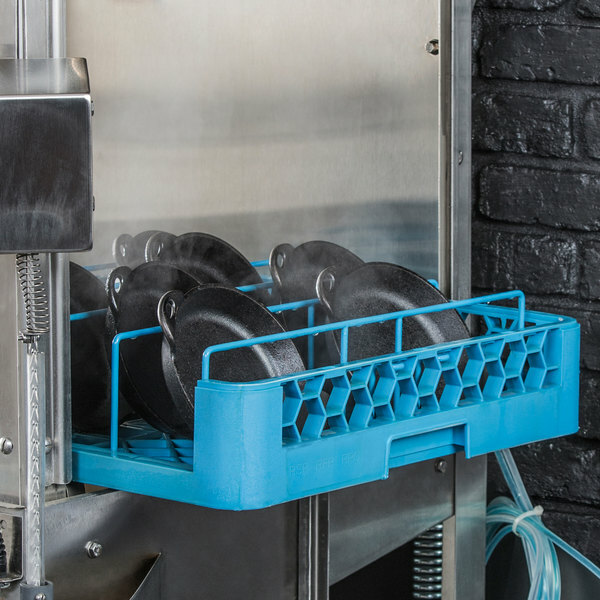 Set your dishwasher - rust-resistant and worry free. Dry your skillet. Oil of your choice. Season. Seasoning works best with a warm pan. Lodge cast iron. Iron is worry free. I purchased this after eating a restaurant that uses a similar item for serving oatmeal. It keeps the oatmeal hot until you finish it. Also is very stylish and looks good on your phone able service. Excellent quality and size, never burns, I like to cook eggs in this frying pan. Also, it is easily placed in the dishwasher, it is very convenient. love this pan, it is large and heavy, but I expected that when I bought it. I make Indian crepes called Dosas on it and they come out fantastic. We use this pan for individual desserts and appetizers. They are excellent quality just as you would expect from lodge plus you can not beat the price anywhere else! 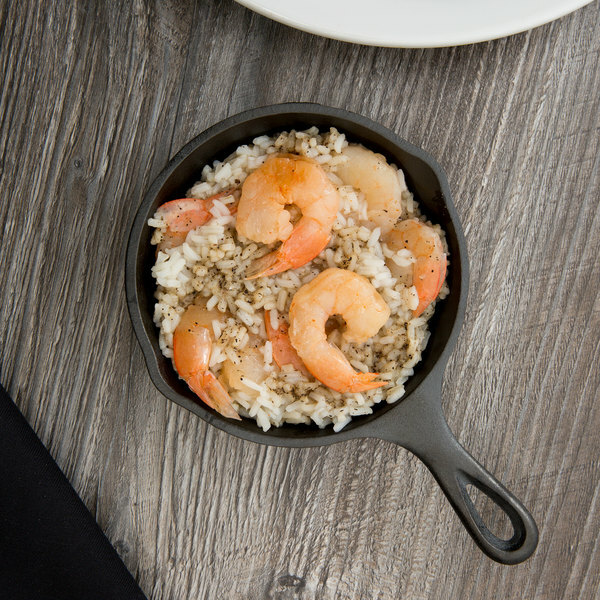 This is a super cute little skillet. It would be good for single servings-- as in a single serving skillet cookie or cake with melted ice cream! 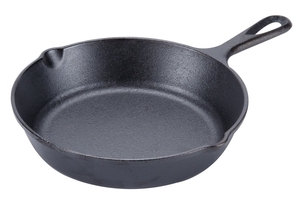 As usual, a very high quality Lodge cast iron product. 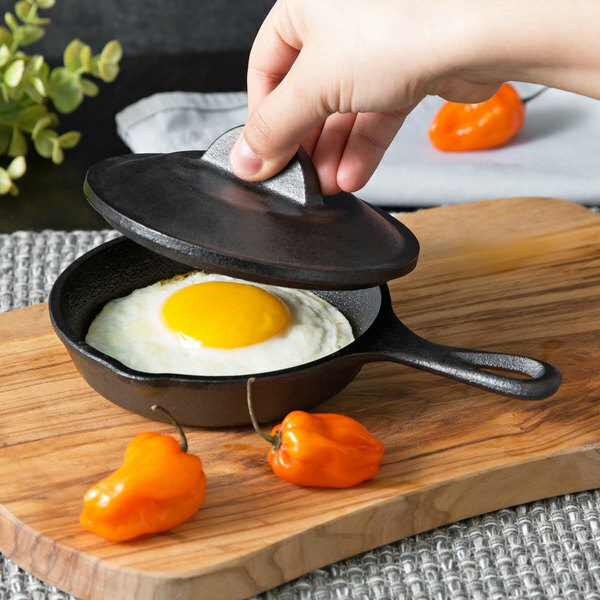 Great, and unique, multi-purpose serving skillet. I very highly recommend it! I love Lodge products! 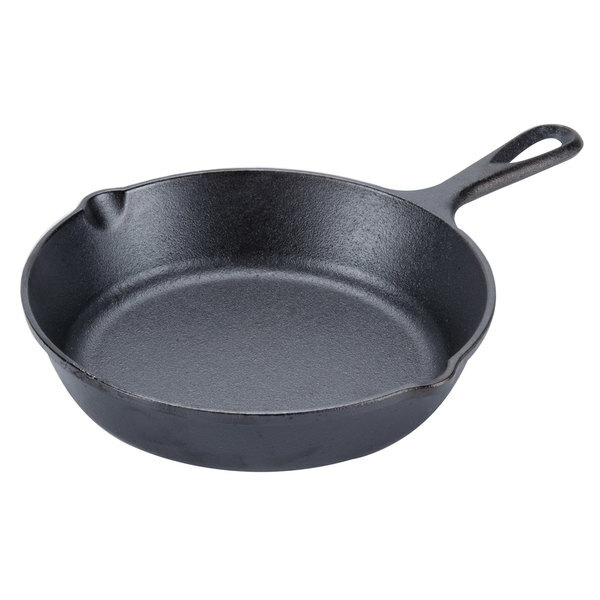 The Lodge 5” Pre-Seasoned Heat-Treated Cast Iron Individual Serving Skillet is heavy weight and very sturdy. It is versatile but great for eggs and bacon. I will definitely be purchasing more. I love these little skillets. They are the perfect size to spoil yourself with a generous helping of pizookie or skillet brownie (go all out and add a scoop of ice cream on top, it's a must). It's also a good size to share with someone else for a less-decadent sized helping. As always, Lodge has great quality products, even for small and cute "niche" items like this skillet. It would also be nice to make sides in, like individual servings of mac and cheese or brussels sprouts. This is the perfect size for the individual serving size we wanted and we will continue to use these for our sides. I would say this is the most closely with what I would see as a serving size for one person. I love my set of skillets. We purchased one for each member of the family. They are perfect for individual dishes, and make adorable little cornbread. Lodge will also last forever! I was surprised at how small this little skillet is, but I soon found good use for it with my many projects. I have a larger one that I use exclusively for my morning eggs and didn't want to disturb it for my other projects like candy making or preparation of herbs for soups and things. I now can find cast iron skillets in the Grocery Store but nothing this cute. Perfect little cast iron skillet. It is great for individual servings for my guests. I also enjoy using them to make mini frittatas for friends. I absolutely love cooking with cast iron and these little individual sized pans are perfect for the stovetop, the grill and the oven. Clean up is a breeze and there is never any sticking if you keep it seasoned. I bought these little skillets to try a rosemary bread recipe that I found. I needed 7 skillets for 7 people for a little gift basket. Well, when they came I had to try the recipe and they turned out wonderful and DID NOT STICK. This is the recipe: http://apple-of-my-eye.com/2015/01/14/5-ingredient-skillet-herbed-garlic-bread/# Now, on to a skillet cookie? We use these for individual cookie desserts. They make the customers very happy when they get them. Do yourself a favor and season them a few times before you start serving with them. It'll save you some time after a few uses. 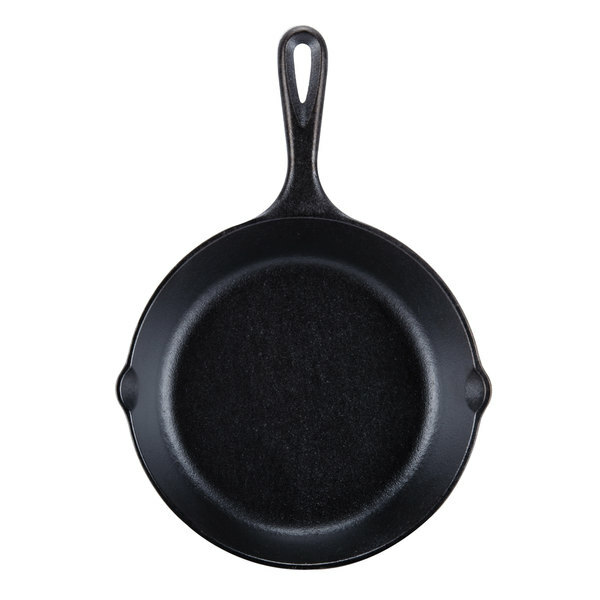 We are really liking this small round pre-seasoned serving skillet. Excellent quality and is very well made. It's perfect for serving portions. We highly recommend this. I've gifted these to teachers with chocolate chip cookie mix in a jar and recently started making soy candles in these. I have at least 4-5 on hand for various desserts, appetizers and just on hand gifts. Great that this comes pre-seasoned so it's ready to use right away! Perfect size for serving smaller portions and still heavy enough to be a quality pan. this lodge cast iron pan has served me well. I have about 25 of them that I use for serving dips and mac and cheese in. I had a customer order this the day I put them up. Basically she said she hers to make s'mores and the size was nice for two people to just enjoy. It was easy to use. After she told me all the details about the chocolate, i'm now incredibly motivated to order a couple of these for myself! Love having products that customers enjoy. The pan is already Preseassoned which prevents rust and stains on the metal. It is the perfect size for frying one egg, melting butter, making chopped bacon bits for baked potatoes, or baking chocolate chip cookie dessert with vanilla icecream just like the restaurants do! This skillet is a perfect size to toast spices or nuts before cooking. Simply heat up the skillet, add your spices and swirl around until the beautiful scent permeates the kitchen. Such a handy skillet that'll last forever.